That hasn’t prevented do-it-yourself shooting ranges from continuing to riddle the landscape and pose a public safety hazard throughout the 160,000-acre public forest near the central coast of North Carolina. 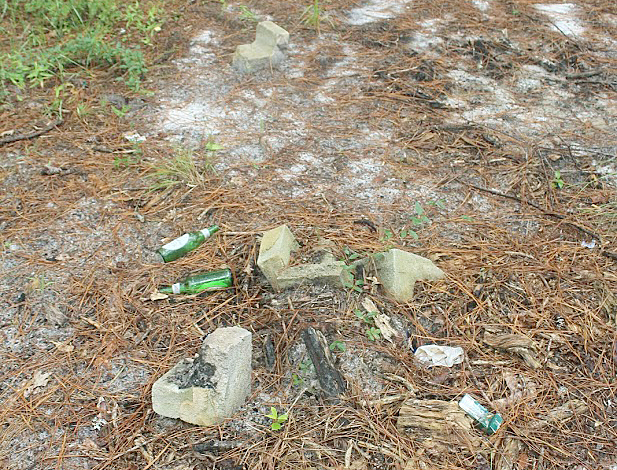 The prohibition on target shooting in the Croatan—located between New Bern and Morehead City in parts of Craven, Carteret and Jones counties—came in the wake of a March 11, 2014, incident in which two Forest Service employees were nearly struck by stray bullets. 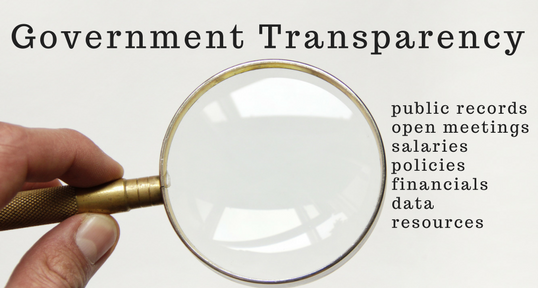 The 120-day moratorium was extended for five years in November 2015 and can be renewed every half-decade. The ban, however, does not impact lawful hunting. 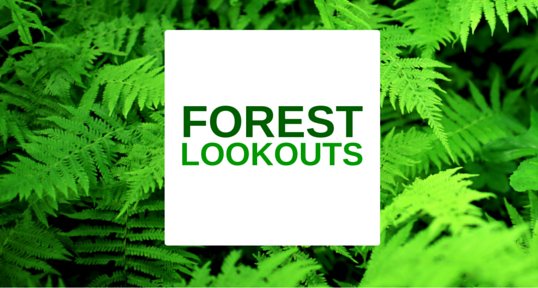 Currently, the Croatan National Forest staff is pursuing a permanent target-shooting ban that would require a range of federal requirements that the National Environmental Protection Act has outlined, including gathering public input. Before the ban, shooting in the forest was prohibited within 150 yards of a residence, camp or occupied area, across a road or body of water, or where any person or property may be exposed to injury or damage as a result of the shooting. 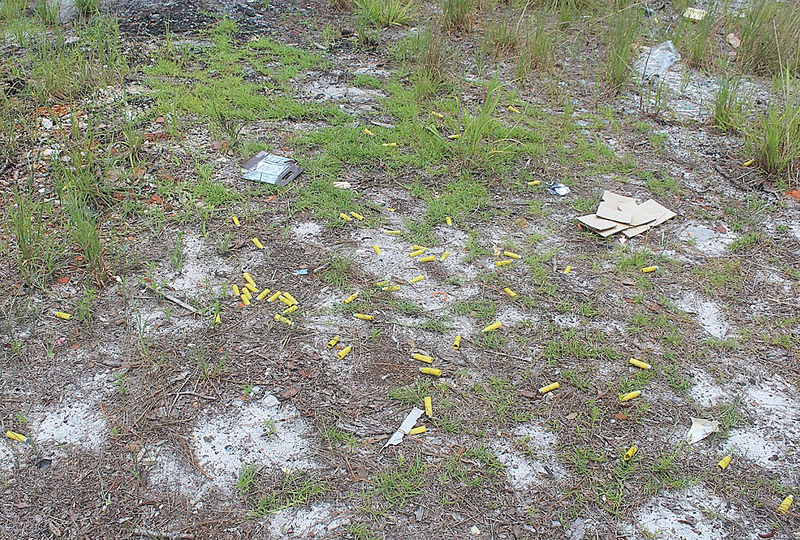 Over the past several years, the Forest Service has responded to numerous complaints and incidents involving target shooting in the forest, Kincaid said. The moratorium on shooting is difficult to enforce in isolated sections of the Croatan landscape, which is distinguished by open longleaf pine forests, remote lakes and boggy pocosins. Currently, the Croatan has just one law enforcement agent to police more than 200 miles of roadways. And those are just the legal ones. Many of the shooting sites are beyond gated roads or in patches of forest along unauthorized roads that follow dry, sandy rises accessible by four-wheelers or off-road vehicles, Kincaid said. “At nearly every dead-end road in the forest there’s probably a shooting range,” he said. Closing roads to public use isn’t an adequate strategy, since gates can be eluded on the flat terrain or ripped from their footings. In another instance, the Forest Service reported that a bullet landed in a home adjacent to the forest boundary. The abuse, however, isn’t just confined to remote sections of woodlands. During the weekend of July 28-29, shooters damaged a public toilet facility at Croatan National Forest’s Black Swamp Off-Highway Vehicle parking area, creating a gaping hole in the restroom wall. The Forest Service replaced 55 stop signs vandalized by weapons at a cost of $58 per sign plus labor to reinstall them in 2017, Kincaid said. The Forest Service did not yet have a cost estimate to repair the damaged restroom. Reckless target shooting is also problematic on other public land units in eastern North Carolina. Brent Wilson is the coastal ecoregion supervisor with the N.C. Wildlife Commission and oversees public game lands throughout 35 eastern North Carolina counties. While Croatan National Forest is owned by the federal government, the state wildlife agency is mandated to manage and protect the game and wildlife that live there. “It depends on where you are, but no isolated place is immune to target shooting,” Wilson said. “The measure we’re using is (whether) shooting is negatively impacting or excluding other users.” That includes hikers, bird watchers, anglers and hunters who use game lands. Ad hoc shooting ranges are more likely to materialize in portions of public game lands near urban areas, such as Wilmington and Fayetteville, Wilson said, or near military bases of which there are several in eastern North Carolina, including Fort Bragg in Fayetteville, Marine Corps Base Camp Lejeune in Jacksonville, and Marine Corps Air Station Cherry Point in Havelock, which borders Croatan National Forest. After the March 2014 incident, the Forest Service contacted Marine Corps leadership at Cherry Point to help educate soldiers about the hazards of target shooting. Many Marines are helping to reverse the problem. Kincaid said he hosts several dozen Marines each quarter to conduct volunteer cleanups. Mike Barton, director of communications at Cherry Point, said the Forest Service notification was shared with everyone at the air station through Facebook and email. The site, just east of the Croatan, is home to 9,000 service members and employs some 5,000 people. “We have a strong desire for everyone to use public spaces responsibly,” Barton wrote in an email. Since few irresponsible shooters are caught in the act, the Wildlife Commission’s primary strategy, Wilson said, is to erect more public shooting ranges such as the Holly Shelter Shooting Range in Pender County, which opened in 2016 to provide an alternative to shooting in the nearby Holly Shelter Game Land between Wilmington and Jacksonville. While target shooting is not banned on all game lands, it is restricted at Holly Shelter. Wilson said illegal ranges have become an issue on the game lands’ 65,000 acres, whose primary users are hunters, anglers and hikers. But since the opening of the shelter, Wilson said the situation has improved. The decrease in shooting in the game land may also be the result of increased law enforcement. Wilson acknowledges that public ranges may not entirely eliminate the problem since they aren’t open at all hours and some people would prefer to shoot in remote locations rather than a public facility. Adding more ranges, however, may be bound by the costs of construction, operation and maintenance and finding suitably remote sites to mitigate the sound of gunfire. In the past, the Forest Service has considered opening a firing range in the Croatan, however, there are no current plans. While the Wildlife Commission promotes shooting sports and receives income from taxes levied on the sale of guns and ammunition, its mission also includes protecting threatened and endangered wildlife. 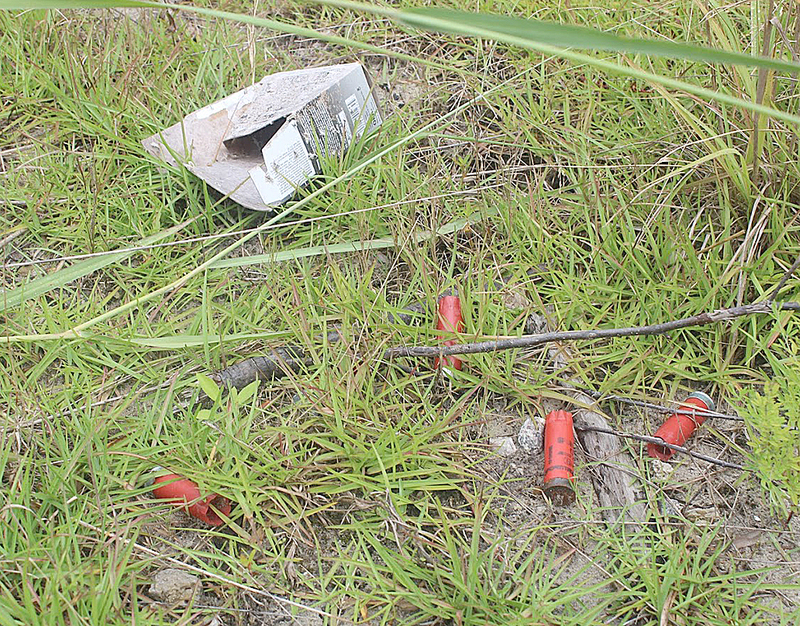 That, too, has been impacted at some shooting sites in the Croatan and throughout game lands. 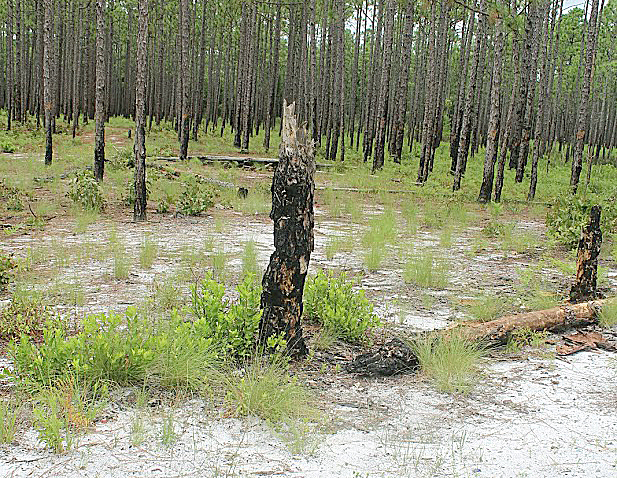 Occasionally, mature trees are mortally wounded or gutted, and popular sites tend to spread out into the grasses and healthy longleaf pine forests of Holly Shelter and the Croatan that harbor rare plants and species, such as the insect-eating Venus’ flytrap, fox squirrels, a variety of songbirds and the federally endangered red-cockaded woodpecker that roosts in mature pines. Environmental hazards aside, land managers are particularly worried that a stray bullet may one day harm a human being. Kincaid said education may be helpful in taming the problem, but he discourages approaching anyone with a loaded weapon. While most gun and shooting enthusiasts are safe and law-abiding, he said, the reckless behavior may be the result of a small minority. “Most people want to follow the rules, but there will always be that one person,” he said.